You are here: HomenextCity InsightsnextCan you help the National Gallery? The National Portrait Gallery has launched a crowdsourcing project online, to transcribe the names of tourists on the West Pier, Brighton, whose silhouettes were cut by Hubert Leslie between 1922 and 1940. 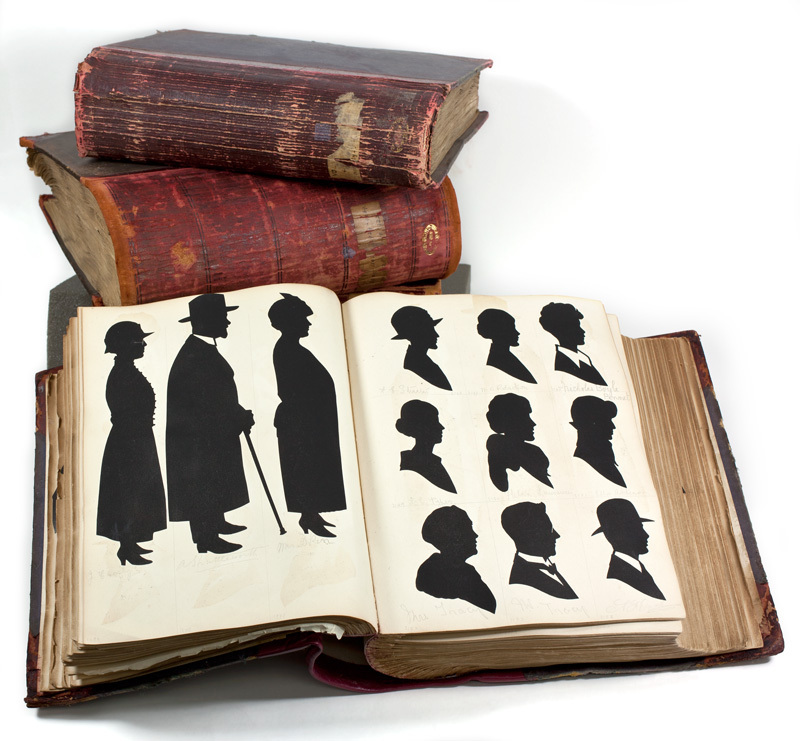 Hubert Leslie kept meticulous records; he pasted a duplicate of each silhouette into a record book, and the sitter signed their names, and in some cases their addresses underneath. Alongside the ten volumes of record books was a card index of all his sitters names, directing him to the correct page of the correct record book. This allowed him to produce duplicates instantly, even years after the original was cut. In WWII, he took the patriotic decision to give up his card index for paper salvage, as part of the war effort. We are attempting to recreate this database digitally, so people can find their parents and grandparents portraits online. One of the loveliest things about the project is that suddenly, very ordinary people, who would never expect it, are going to discover they have a family portrait in the National Portrait Gallery collections. The sitters are from absolutely all classes, nationalities and social groups; it is incredibly inclusive. Transcribing a name is a random act of kindness; you know that it will make someone, somewhere, very happy indeed.